Trees contribute significantly to the County’s unique aesthetic, biological, cultural, and historical environment. Trees also absorb carbon dioxide, provide shade, and reduce stormwater runoff. They reduce energy use, mitigate climate change, and improve water quality. In 1992 Ventura County adopted the Ventura County Tree Protection Ordinance. The ordinance applies to the pruning (beyond specified limits), removal, trenching, excavation, or other encroachment into the protected zone (5 feet outside the canopy’s edge and a minimum of 15 feet from the trunk) of protected trees in unincorporated areas (land outside of cities). Alterations or removal of protected trees are subject to permits as defined in the Ventura County Coastal Zoning Ordinance (CZO) and the Ventura County Non-Coastal Zoning Ordinance (NCZO). In the non-coastal zone, protected trees include all oaks and sycamores 9.5 inches in circumference or larger (measured at least 4.5 feet above ground), trees of any species with a historical designation, trees of any species 90 inches in circumference or larger, and most 9.5-inch in circumference or larger native trees that are located in the Scenic Resources Protection Zone. In the coastal zone, protected trees include trees that are considered Environmentally Sensitive Habitat Areas, native trees, historic trees, and heritage trees. A permit is required even to alter a non-native tree or a non-native invasive tree species that is located in the coastal zone. One of the handouts above should be your starting point, depending on if the tree is located in the non-coastal zone or the coastal zone. If your proposed project is in the coastal zone, start by reading Tree Doc CZ-A. If your proposed project is in the non-coastal zone, start by reading Tree Doc A. To determine whether the tree is in the coastal zone, go to the County’s “What’s My Zoning?” page (click here). The Submittal Requirements summarize the tree protection requirements and procedures, and clarifies what type of documentation must be submitted with the different types of tree-related requests. If you have questions on any of the items below, refer back to these documents. This document further clarifies tree protection requirements and procedures. This document includes an application and instructions for ministerial tree permits. Ministerial tree permit applications for proposed projects in the non-coastal zone should use Tree Doc M. Ministerial tree permit applications for proposed projects in the coastal zone should use Tree Doc CZ-M. 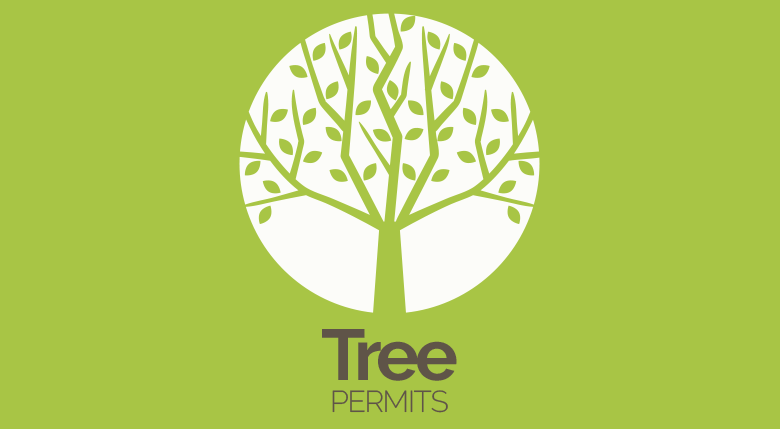 When ministerial tree permits are issued, it is with the understanding that certain performance standards will be adhered to and these standards are attached to the permit. These performance standards cover tree protection fencing, tree protection zone restrictions, and required tree pruning methods. Verification that tree protection measures described in the Performance Standards were present throughout the time of construction may be requested by the Planning Division. Used to confirm that a tree is dead, and if the death was not from natural causes, provides information on why the tree died. Used to confirm that any proposed major pruning is for the health or stability of the tree. Major pruning involves pruning limbs or roots that are greater than 20 percent of the tree’s girth or pruning that overall will amount to more than 20 percent of the trees canopy or root system. Used to confirm a tree’s hazardous condition or that the tree is conflicting with existing structures or trees. Used to confirm various site conditions, such as that tree removal or pruning is justified to allow reasonable access to a prop erty or reasonable use of a property. Used to confirm that tree protection measures, such as fencing, are in place. Written or photographic verification that tree protection measures were in place throughout the time of construction may be requested by the Planning Division. Comprehensive arborist reports are only required for discretionary tree permits. This document outlines the specific information required in arborist reports submitted to the County. The purpose is to ensure that the Planning Division receives the specific information needed to make a decision about a given request, that the information is clear and easily found in the report, and that the applicant and arborist understand what is required versus optional information. Arborist reports that do not substantially adhere to these guidelines will be rejected as inadequate. If a protected tree requires protection during construction (on discretionary permits), or if a project is proposed that would fell or transplant protected trees, then an arborist-prepared Tree Protection Plan must be submitted to address the protection of remaining trees or to institute tree offsets/mitigation. This document outlines the specific information required in these plans in the non-coastal zone. Tree Protection Plans are important documents that are intended to encapsulate most of the required construction protection measures, mitigation, offsets, and ongoing monitoring that may be involved with a project. Tree Protection Plans that do not substantially adhere to these requirements will be rejected as inadequate. In the coastal zone, a Tree Protection, Planting, and Monitoring Plan is required if a protected tree is proposed for removal, relocation, alteration, or encroachment and replacement trees will be required. For more information on coastal zone requirements, see CZO Sec. 8178-7.7.4d. The actual language of the Tree Protection Ordinance in the CZO and the NCZO. The County also adopted Tree Protection Guidelines which supplement the NCZO and further explain and amplify the ordinance requirements. Included are approval standards for both ministerial and discretionary tree permits, methods for how the value of a tree may be determined, and mitigation measures for removed trees. The Tree Protection Guidelines do not apply to the coastal zone, rather, the CZO includes all the necessary information for tree permit requirements (CZO Sec. 8178-7). This is a list of tree trimmers who have pledged that they have read and understand Ventura County’s Tree Protection Regulations and Tree Protection Guidelines as well as the International Standards of Arboriculture (ISA) Pruning Standards. Inclusion on this list should not be construed to be a recommendation from the Planning Division. Form to register for the above list. Additional species of trees are protected in the County’s Scenic Resource Protection Overlay zone. This map shows where those areas are in the County. Trees that have a historical designation are protected by the Tree Protection Regulations. Historic trees embody distinguishing characteristics that are inherently valuable and are associated with the landscape that shaped the social and cultural history of Ventura County. Trees can be deemed historic through designation as a Cultural Heritage Site, or through a listing (or eligibility for listing) in the California Register for Historic Resources and/or National Register for Historic Places.